Trabzonspor forward, Caleb Ekuban has expressed his desire to fight his way out be in Kwesi Appiah's team for the Africa Cup of Nations in Egypt in June. The 25-year-old have been impressive with the national team, after netting twice in his first two games for the Black Stars. With Coach Kwesi Appiah yet to name his squad for the Nations Cup, the Italian forward looks ready for the competition and wants to be at the "great" tournament. “Everybody wants to be in a great tournament such as the African Nations Cup and I would like to be part of the team. Of course, missing out will not be nice for me but I will not be upset. 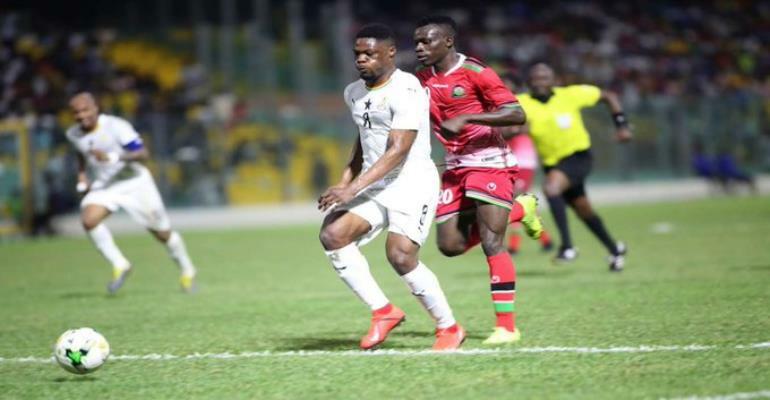 "It will only mean that other players have performed better in the build-up and maybe, next time, I will get the chance", he said after scoring in Ghana's 3-1 win over Mauritania on Tuesday. Ekuban is on-loan at Trabzonspor from English Championship side Leeds United but his performances with the Turkish side has seen drawn a lot of attention to clubs across Europe.